The International Student Mentor Program is organized to help new incoming international students adjust to cultural and academic differences with the help of current undergraduate and graduate students. 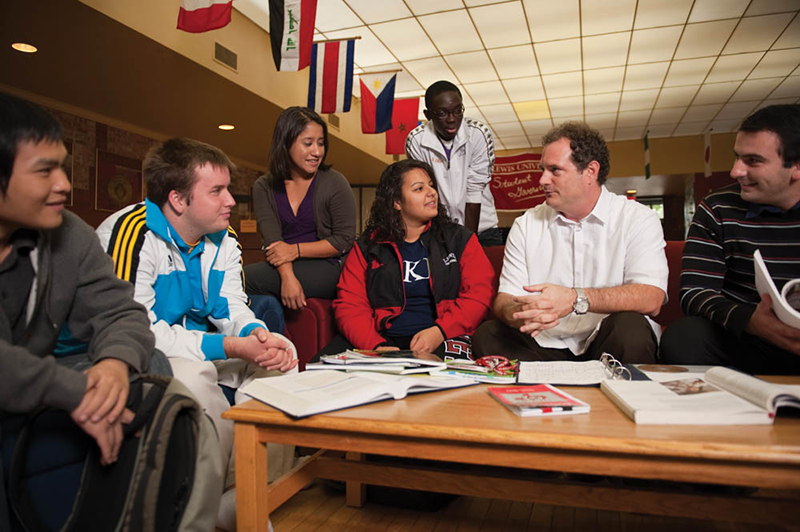 Mentors and mentees are encouraged to keep in touch during one complete semester (Spring or Fall), and it is our hope that the relationship established by incoming and current students allows them to engage in educational opportunities outside of the classroom, promoting diversity on the Lewis campus. The office of International Student Services believes that the relationship developed by mentors and mentees is mutually beneficial. Mentors can be exposed to a new culture and language, learning more about their mentees’ reality before and after they move to the States. On top of that, mentors can help International Student Services identify ideal programming for new students, and be aware of the difficulties they face. Research shows that today nearly 600,000 international students are in U.S. colleges and universities and all of them bring intellectual, economic, and cultural benefits to our campuses and communities. The purpose of the International Student Mentor Program is to make new international students feel welcome in the United States and to acclimate them to the American culture. We will achieve this by means of availability, hospitality, and knowledge. With these values we shall create an environment in which new students will not be afraid to ask questions. Who can be an International Mentor? Welcome and include your mentee in extracurricular activities, sports and off campus outings. How do I apply to be a mentor? A staff or faculty recommendation. Please get in touch with Michael Fekete at feketemi@lewisu.edu if you wish to know more about the application process. Upon her graduation in the spring of 2014, it was decided to rename the current program “The International Student Mentor Program”. From its creation based on the drive of several individuals especially Tatiana de Lima Machado, former Graduate Assistant in the Office of International Student Services the program began in the Fall 2012. Due to the unconditional support from the International Student Association (ISA), especially the former president, Latha Alle Reddy Venkata, and the former secretary Casey Mackenzie, as well as the Director of International Student Services, Michael Fekete the program has experienced much success. Ms. Machado took ownership of the program, and started expanding its activities by establishing partnerships with the Foreign Language Department and Study Abroad. The program’s main goal is to continue helping international students acclimate to the Lewis community and American culture.